Move in Ready! Our beautiful community setting is located in close proximity to the Phillip S. Miller Park with miles of hiking/biking trails and more. 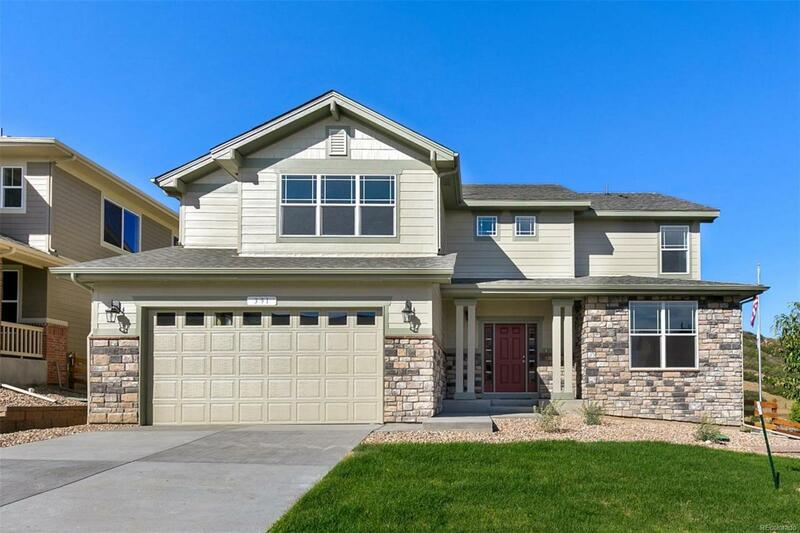 Easy access to downtown Castle Rock and I-25 for a variety of shopping experiences. Youll love your stunning gourmet kitchen that flows into your great room with dramatic vaulted volume ceiling and cozy fireplace. Gorgeous design finishes and hardwood floors are so inviting! This popular home boasts all ensuite bedrooms, with one on the main floor for guests! The master ensuite will delight you with a luxurious 5 piece bath. Youll also appreciate the unfinished garden-level basement for future expansion. Enjoy outdoor living on your very generous covered deck and oversized corner lot in close proximity to a neighborhood park. Includes full yard landscaping with irrigation system and fencing! Builder 2-10 Limited Warranty! Don't miss out on this amazing community.